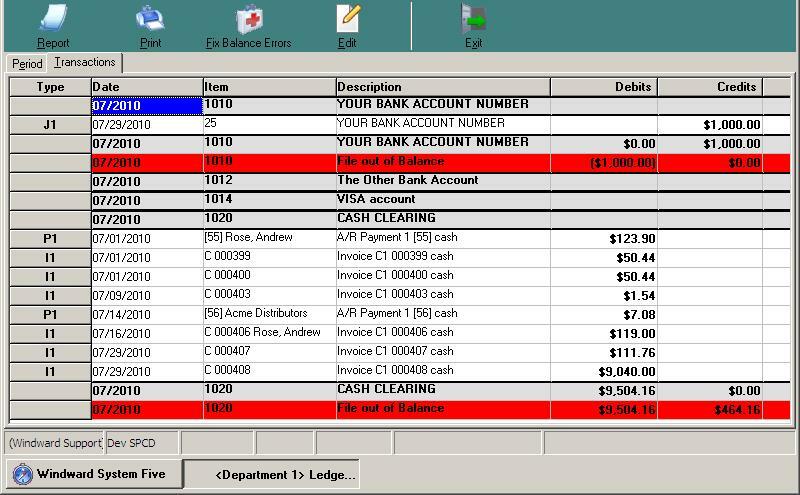 When running the List Transaction by G/L Account a red line shows up in the ledger labelled “File Out of Balance”. This occurs when there are transactions created in the system but the activity.btr file was not updated with the transactions. 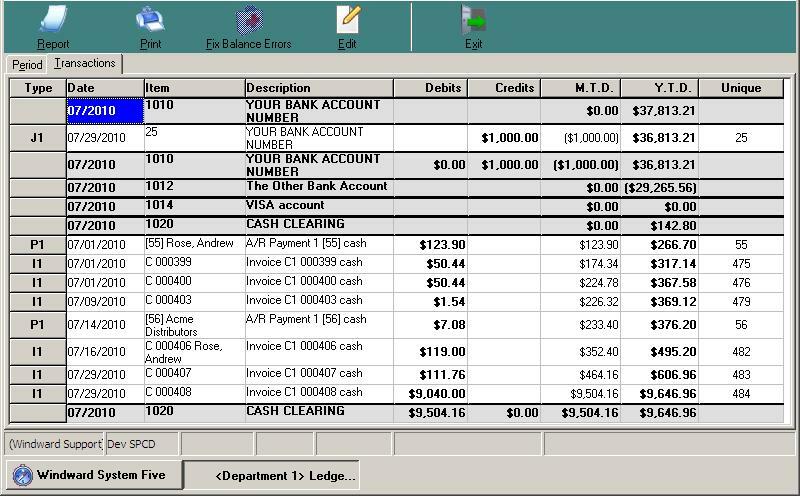 The option to fix balance errors will be available if the List Transaction by G/L number report was run against a specific department. The fix balance error button will always be available on non-departmental System Five datasets. After clicking the fix balance errors button the transaction report will be regenerated and the file out of balance errors will be corrected as shown in Figure 3.